There is nothing more irresistible than the sight of your bed after class. It just invites you in, relaxes you, and provides warmth. There is no place I would rather be after class than in my bed. Even though my bed here is half the size of mine at home, I still love taking naps. Naps help me recover from a stressful day, give me energy, and overall calms me. This all sounds perfect, but we have all attempted to take a 15 minute power nap, but ended up sleeping for hours. Over the summer and during the later half of my senior year this was not really a problem. I could take a 3 hour nap during the day and still complete everything I needed to do. But now that school has started, it has become a problem. My “useful” naps, have turned into a terrible and negative use of my time. They pour into my study, and homework time. Is it possible for me to take naps, and still get all of my work done? Do they actually have any benefit to me? And if so, how? Before anyone can understand how to correctly take a nap, one must understand that humans have a natural sleep cycle. The only thing I remember from my Psychology course in high school was the human sleep cycle. Im not an expert, but I do know that we go in and out of two stages of sleep, called REM Sleep, and NREM Sleep. REM stands for rapid eye movement, and this stage of sleeping is when someone is in their deepest sleep, and start to formulate dreams. NREM stands for non rapid eye movement, and at this stage, you are not formulating dreams, but still are technically asleep. People start in NREM, and after about 90 minutes, they start to transition into REM sleep. Now with all of that being stated, the most effective way to take a nap is to stay in NREM sleep. Now if you think about it in just a logical sense, if you are suddenly woken up by an alarm or anything during your deepest sleep, you are still gonna feel tired. Your body was never able to naturally leave the deepest state of sleep. Your normal cycle will be broken, and the nap will be counter productive. If you are able to maintain NREM sleep, you will wake up you feeling refreshed, because your body did not fully fall asleep yet. Knowing how to nap is only half of it. Now we need to know if they are even worth taking. According to this article, a well timed nap can actually be beneficial. A nap between 20-90 minutes (Remaining in NREM) will aid in the reduction of stress, will help increase consciousness, and possibly put you in a better mood. Anything surpassing that (Going into REM) will end up being counter active. It will cause you still feel tired, and groggy. So basically not only does a longer nap take up more time, it also does not even help you. It contradicts the whole reason why anyone would take a nap. To summarize, it is possible to take a useful nap. They can be beneficial, and to actually benefit from them, they must be taken in shorter intervals. Not only is that when you gain the most from them, the shorter the time spent sleeping, the more you can get done. As long as they do not last longer than 90 minutes, I can nap anytime I need to, and still manage to get all my work done. Naps are beneficial. This entry was posted in Uncategorized on September 15, 2016 by Devon Buono. I agree with this blog. 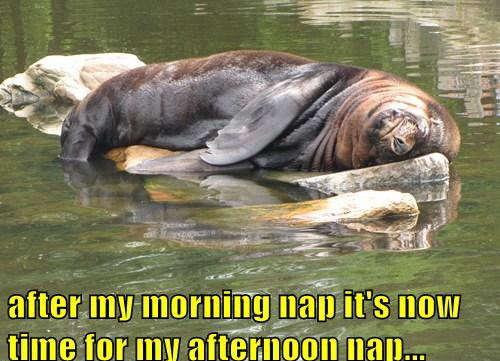 Although I am not a big fan of naps, I do believe shorter naps are better to get rejuvenated. I don’t nap during the week, but on the weekends sometimes I will take a 20 minute power nap, and this gives me the energy to get through some of those long weekend days. Yo whats good Devon. I 110% agree with this blog. I need naps everyday in order to go about my day and to be focussed in everything that i do. I usually tend to take short 30-60 minute naps and feel full of energy. However sometimes i do happen to fall asleep for 3-4 hours and feel like I’ve been hit by a 16 wheeler. This post was overall really interesting and informal. Thanks for this Devon, keep up the good work stud! I am an avid nap taker so I was instantly drawn to this post. I always take naps during the weekdays and find them beneficial because they always seem to give me a boost of energy. Without incorporating naps into my daily routine, I would be a lot more stressed and worn out than I currently am. Even though I agree that naps are beneficial, it can also just depend on the individual’s preference. There are some people that I know that are unable to take naps during the middle of the day or else it would ruin their entire day regardless if it was less then a 90 minute time frame. At the end of the day, I think it just comes down to a person’s lifestyle.